Microsoft finally has its own tap-to-pay solution for Windows 10 Mobile users: Microsoft Wallet allows Lumia users to add their credit, debit and loyalty cards to use at stores that support near field communications (NFC) payments. To be sure, this isn't the first NFC payment solution available on Windows 10 Mobile. Softcard supported NFC payments on Windows Mobile, but the service was discontinued in March 2015 after Google purchased the company. Since tap-to-pay is a standardized feature, Microsoft Wallet should work everywhere Apple Pay and Android Pay are available. This is different from Samsung's Magnetic Secure Transmission technology, which allows Samsung Pay to work with older terminals without NFC. In addition to checking out at physical stores, Microsoft Wallet lets users pay in Microsoft's digital stores. This means you can purchase things in the Xbox, Office or Microsoft Stores using your mobile wallet. Microsoft Wallet is available now, but only in the US for the Lumia 950, 950XL and 650. The list of supported banks is small, with only Bank of America and three credit unions being supported right now. Chase and US Bank are listed as "coming soon." 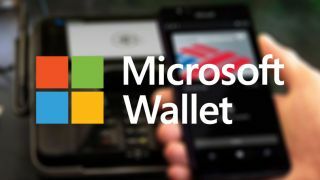 Yet another caveat is that Microsoft Wallet is still being tested, so it's only available to Windows 10 Mobile users who've signed up for the experimental updates. It's unclear when it will become available to all Windows 10 Mobile users, but it's likely to come with Windows 10's huge Anniversary Update, which is expected to arrive late this summer. Although Microsoft Wallet is a neat feature, it likely won't stop the free-fall of Windows Phone sales. Just saying.